Sally Jacobs, a contemporary botanical artist living in Los Angeles, studied botanical art at Otis College of Art and Design and the New York Botanical Art Certification Program. She has taught botanical illustration at the Otis College of Art and Design, the Los Angeles Arboretum, and the J. Paul Getty Museum. Her early education included a BA from Cornell University, MA from Harvard University, and an EdD from UCLA. In addition to teaching, she has developed educational curriculum and was a partner for many years in a successful software business. Since selling the company, she has devoted most of her time to botanical art. Sally is a member of the TAG Gallery at Bergamot Station in Santa Monica, California, and exhibits her work there regularly. Her work was selected many times for the International Juried Botanical Art Exhibitions in New York City; several New York State Museum’s “Focus on Nature” exhibits; several Juried Botanical Art Exhibits at Filoli in Woodside, California; and the Fredrick R. Weisman Museum International Botanical Art Exhibition in Minneapolis. She was chosen as a member of a grant review panel for the National Endowment for the Arts and her work was shown on fCNN during a show on “new collectables.” Sally is a member of the American Society of Botanical Artists where she served as treasurer and vice president of the Southern California chapter. 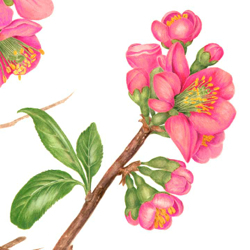 She is one of the artists included in “Todays’ Botanical Artists,” a book of contemporary, well-regarded, nature artists.